In this tutorial you will learn how to setup a Django project to send emails using the Mailgun service. Previously I’ve published in the blog a post about how to configure SendGrid to send emails. It’s a great service, but they don’t offer free plans anymore, nowadays it’s just a 30 days free trail. So, I thought about sharing the whole email setup with a better option to get started. Mailgun is great and super easy to setup. The first 10,000 emails you send are always free. The only downside is that if you don’t provide a payment information (even though you are only going to use the first 10,000 free emails), there will be some limitations, such as requiring to configure “Authorized Recipients” for custom domains, which pretty much makes it useless, unless you know beforehand the email addresses you will be sending emails. Go to www.mailgun.com and create a free account. 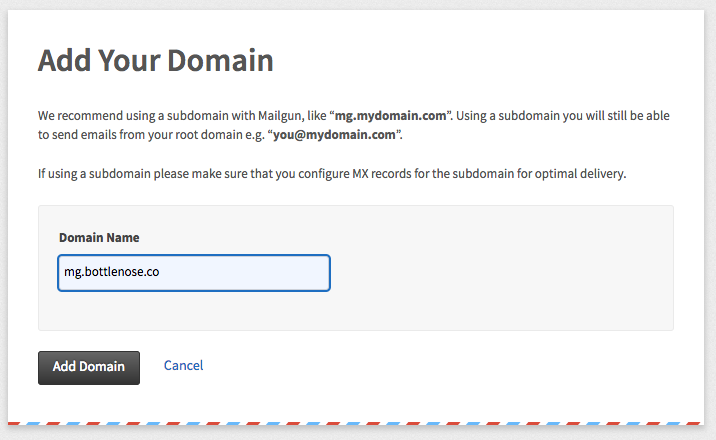 Sign in with your Mailgun account, click on Domains and then Add New Domain. 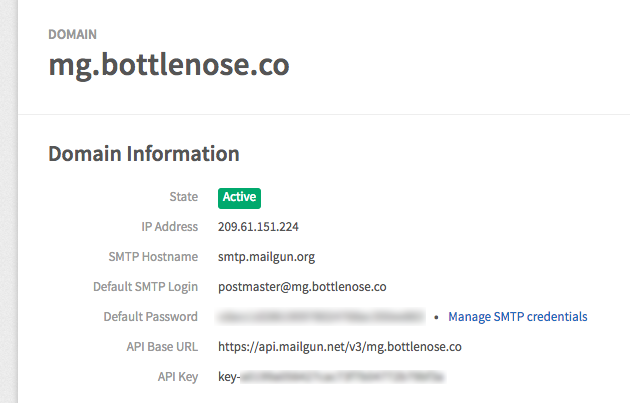 From now on, always change bottlenose.co with your domain name. To perform the next steps, you will need to access the DNS provider of your domain. Normally it’s managed by the service/website you registered your domain name. In my name, I registered the “www.bottlenose.co” domain using Namecheap. The next steps should be more or less the name. Try to find something that says “manage”, “DNS records”, “Advanced DNS” or something similar. Remember, in the previous screenshot you are supposed to do in your DNS provider! Now it’s a matter of patience. We gotta wait for the DNS to propagate. Sometimes it can take an eternity to propagate. But my experience with brand new domains is that it usually happens very quickly. Wait like 5 minutes and give it a shot. 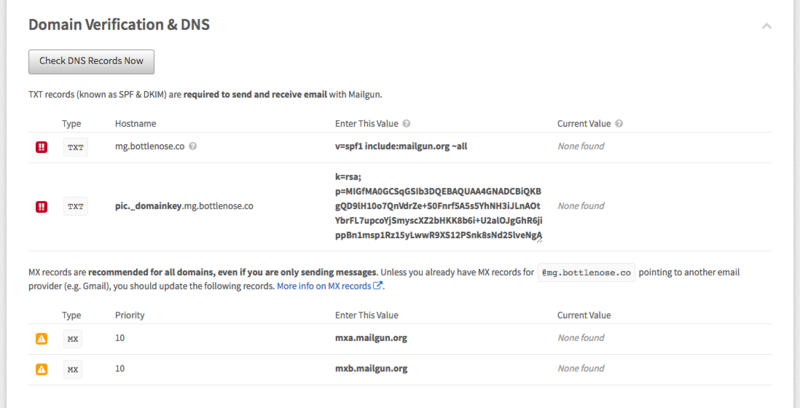 Click on Check DNS Records Now and see if Mailgun can verify your domain (remember, this process can take up to 48 hours!). If you need to keep reading about the basic email functions, check my previous article about email: How to Send Email in a Django App.